The objective of NFC Youth Competitive is to provide a year-round professional soccer training program that will develop players to their greatest potential, focusing on top-quality instruction and exposure to high levels of competition. The club will form boys and girls teams in each of the age groups including Under-13 through Under-19. It is our goal to offer these players optimal opportunities to grow and develop as soccer players and as people. Provide a platform to give players the highest quality of training and competition. 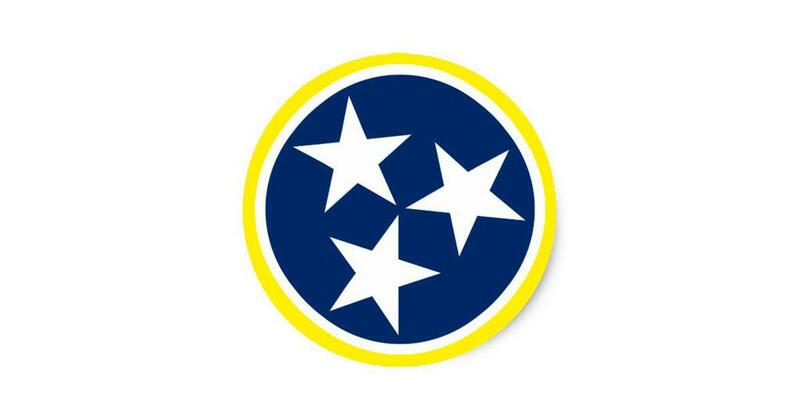 Nashville FC Youth Academy is the foundation of the NFC Youth Soccer Club experience. 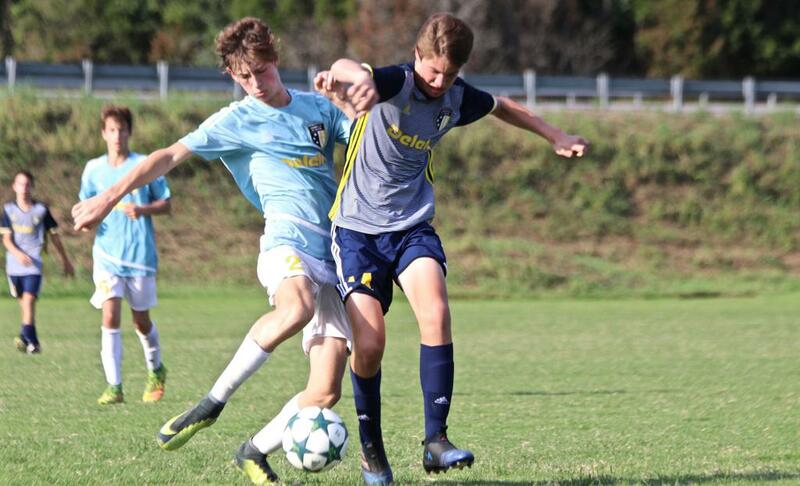 The Academy teaches the player necessary tools to reach his or her potential in sport of soccer. We are dedicated to teaching the player these tools in a positive and fun environment. Emphasis is put on teaching the correct body shapes and thinking forms. Once these are understood, players are given the chance to perform and execute these skills under pressure using various training games and matches. Players are exposed to the NFC Youth Academy TEACHING SYSTEM. To simplify instruction and create visual pictures throughout a player's career, this language creates consistent communication for players and coaches. NFC competitive players are expected to understand and follow certain commitments. NFC players will practice good sportsmanship, be coachable, and strive to be the best player they can be. 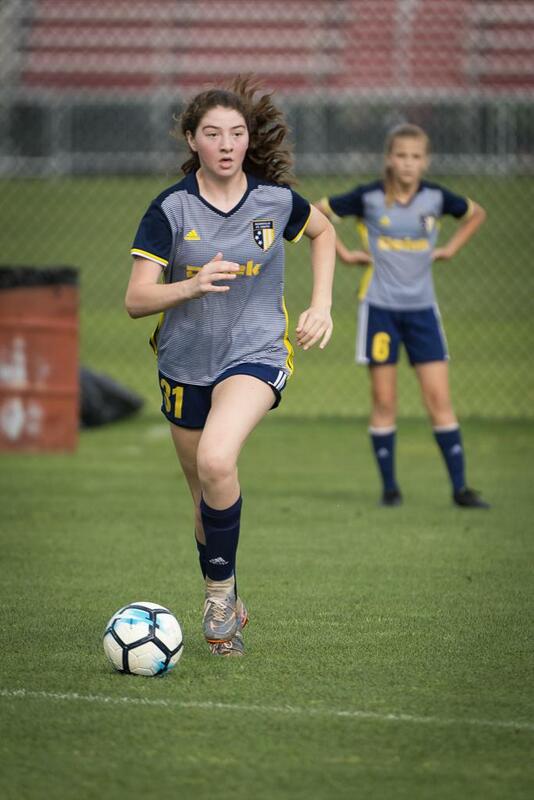 The objective of MFC Youth Competitive is to provide a year-round professional soccer training program that will develop players to their greatest potential, focusing on top-quality instruction and exposure to high levels of competition. The club will form boys and girls teams in some age groups from Under-13 through Under-19. It is our goal to offer these players optimal opportunities to grow and develop as soccer players and as people. 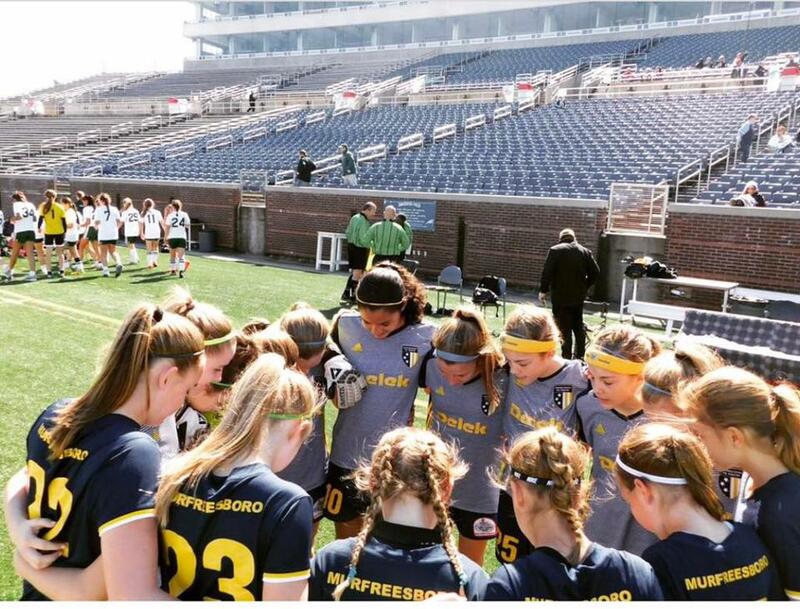 Murfreesboro FC Youth Academy will follow the curriculum of the Nashville FC Youth Academy, which is the foundation of the NFC Youth Soccer Club experience. The Academy teaches the player necessary tools to reach his or her potential in sport of soccer. We are dedicated to teaching the player these tools in a positive and fun environment. Players are exposed to the NFC/MFC Youth Academy TEACHING SYSTEM. To simplify instruction and create visual pictures throughout a player's career, this language creates consistent communication for players and coaches. MFC competitive players are expected to understand and follow certain commitments. MFC players will practice good sportsmanship, be coachable, and strive to be the best player they can be. 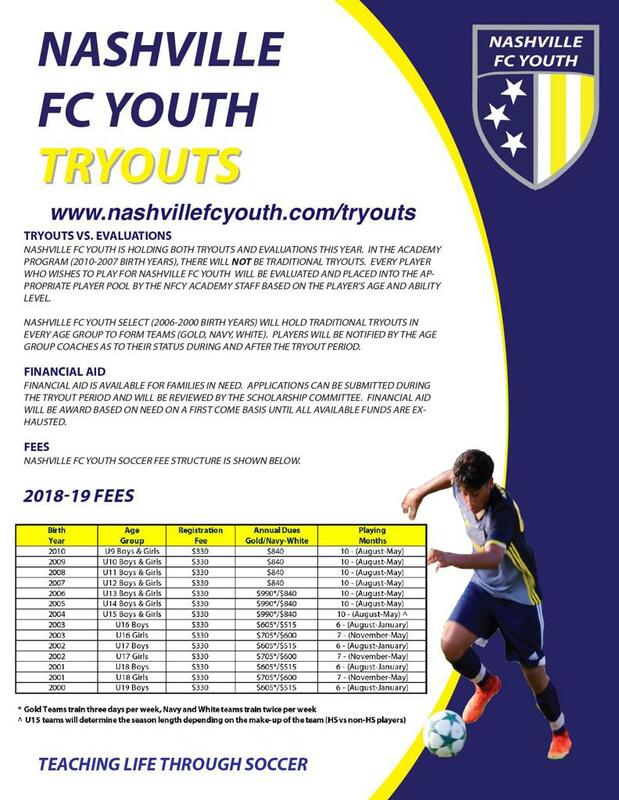 ©2019 NASHVILLE FC YOUTH SOCCER / SportsEngine. All Rights Reserved.